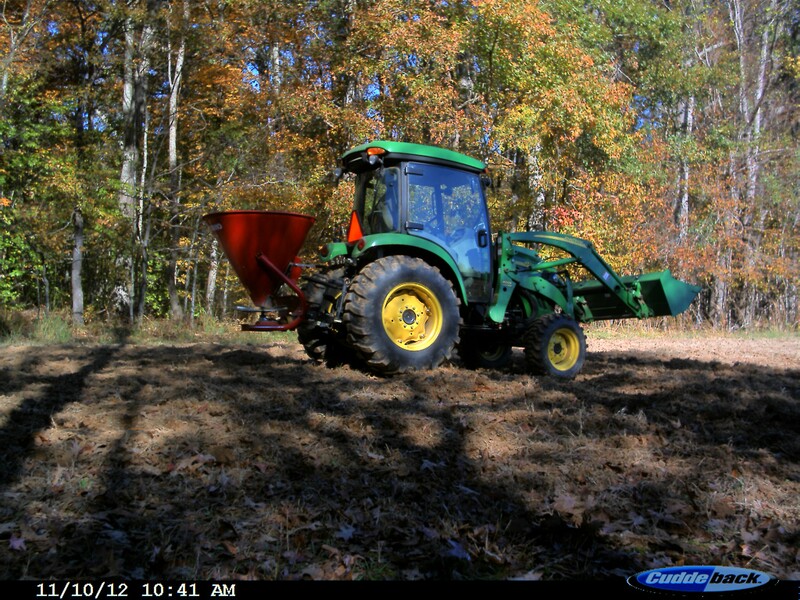 The author putting out seed and fertilizer on one of his food plots. The author’s hand calculations, field by field, showing acreage and seed and fertilizer proration. The author drag harrowing (covering) the seed and fertilizer he just put down. October is finally here, and beyond sitting in a stand and bowhunting, you know what that means. 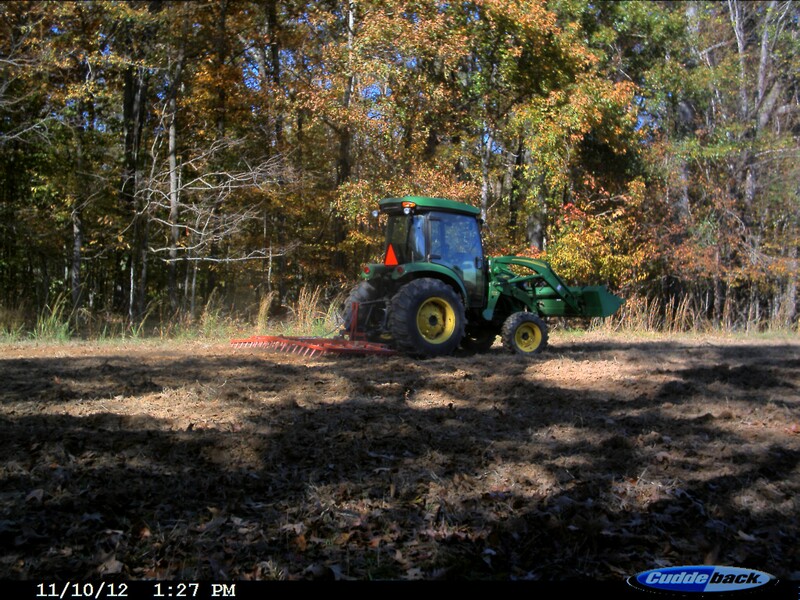 It is once again time to plant food plots. 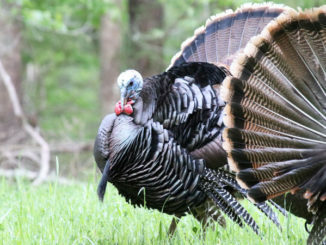 As many opinions on how best to plan, prepare, and plant food plots exist as there are hunters you could ask. Over the years, I have used many different techniques and methods. Some have worked well for me, and some have not. Seed and fertilizer are too expensive and critical to success to make an estimate and hope for the best. The trick is to put down enough on each plot, but to not waste time and money on more than enough. Most hunter/plot planters pretty much wing it and put down too much or not enough seed and fertilizer. 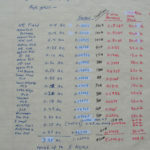 To modify an old adage, an ounce of planning is worth a pound of results. 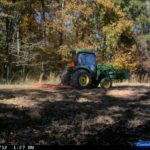 The first thing you need to have is a fairly accurate measurement of each food plot in acres or fractions of an acre, and the overall total acreage that will be prepared, planted and fertilized. I have friends who swear by digital, online GPS area measurements that are obtained by walking the perimeter of a food plot, tagging GPS waystations repeatedly, then letting the map app they are using calculate the enclosed area in acres or square feet. I’ve tried it; it’s nifty and cutting edge, but most of the time, I found that I was spending more time and taking more steps to derive plot sizes than if I just used some very simple, non-technical methods. I may have an engineering degree, but I love simple, efficient methods to accomplish tasks. Let me explain. 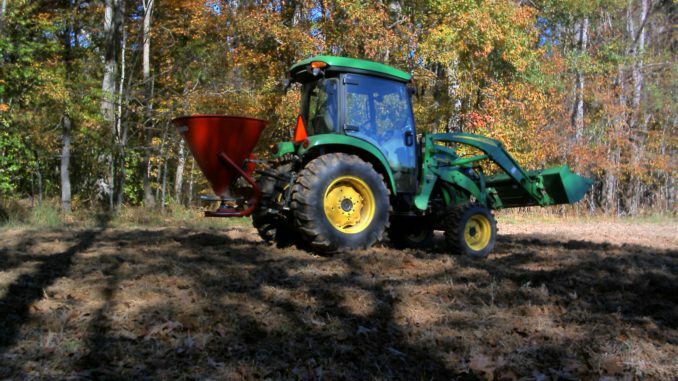 Most food plots are created in some version of a circle, square or rectangle. If a given plot’s geometry is circular or oval, the basic calculation for the area of a circle that we were all introduced to in school is: Area = Π (the constant Pi which is 3.142) x R² (the plot’s radius multiplied by itself). Who wouldn’t be able to figure that quickly, using only a little boot leather and the calculator on their phone? Let’s walk through the process quickly. You drive up to your circle-shaped plot with only a pencil, a pocket notebook and your iPhone. Dismount, walk over to one side of the plot and start stepping off roughly 36-inch strides aimed across the plot’s center to the other side. Let’s say you step off 50 steps across the plot. Multiply 50 times 3 feet per step, the result is a diameter of 150 feet. That means that the radius, which is half the diameter, is 75 feet. The area in square feet would be: 3.142 x 75², resulting in a calculation of 17,674 square feet. To convert that to acres, it is as simple as the old saying, “falling off a log backwards.” In your notebook, you would have already written down 43,560, the number of square feet in an acre — or you would have had the number committed to memory. In this case, divide the area of the plot you stepped off in square feet, 17,674, by the square footage per acre, 43,560, and you get an acreage for the subject plot of .40, or in other words, four-tenths of an acre. • 0.4 x 300 = 120 pounds of fertilizer. 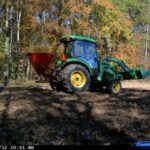 The exact same measurement technique applies to food plots that are square or rectangular in shape, the only difference being that you simply step off and measure length and width along the sides. A boomerang-shaped plot would be measured as if it were actually a regular rectangle. A plot shaped like a “Y,” would be measured in three segments, as if each segment was a rectangle and then all three added together for the total acreage. See, when your teacher told you that you would be using those math problems in later life, it really was true. • What’s the general plot shape? • Step off the measurements. • Calculate the area in square feet. • An acre covers 43,560 square feet. • Convert plot square-footage to acres. • Decide on seeding and fertilizer rates. • Multiply acreage times rates. • Add it up and make your purchase. 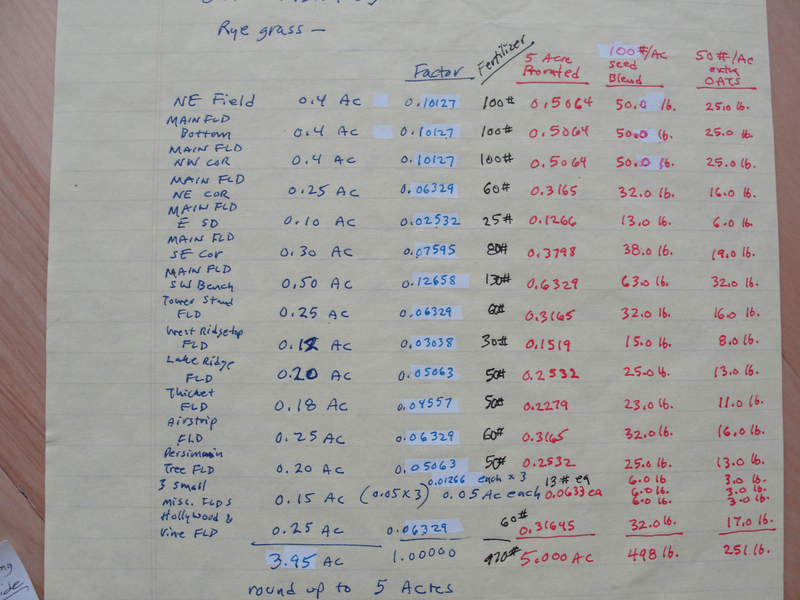 • Apply to each plot as calculated. • Cover and wait for rain. 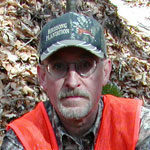 Bill Garbo is a petroleum engineer and avid whitetail hunter from Madison. He has lived and hunted out west and taken numerous big game species, but hunting big old mature southern whitetail bucks is his favorite pursuit by a country mile.